Help : Select the business partner to be reimbursed. Help : View and modify Time and Expense Report Lines. 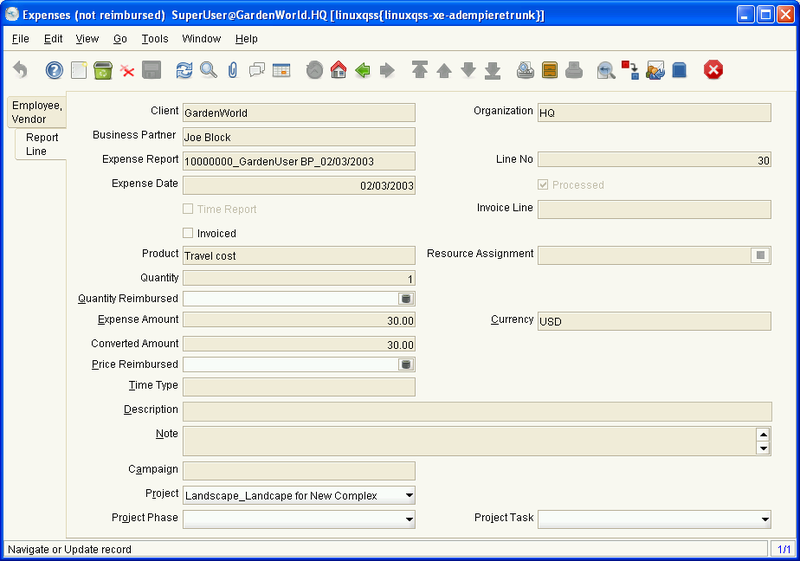 It lists expense items for the business partner on the expense header where the expense lines were not invoiced yet. This page was last modified on 18 May 2007, at 18:37.